Take charge of yard with Toros PowerPlex 40V Max* T90 Lithium Ion Quick Battery Charger. The quick charger charges the T90 battery in approximately 60 minutes and the T180 in approximately 120 minutes. The quick charger is compatible with the Toro PowerPlex tools and batteries. Take charge of the yard with Toro PowerPlex tools. Save time by charging faster than other 40-volt batteries. T90 battery charges in approximately 60 minutes and the T180 charges in approximately 120 minutes. The EGO 56-Volt Lithium-ion Rapid Charger monitors and controls each cell in the battery pack to control temperature for maximum battery life. The active cooling fan system and advanced communication with the battery supports rapid charging without overheating. The rapid recharge capability ensures limited downtime with any battery in the EGO platform. Less Swapping, More Charging. The M12 Four Bay Sequential Charger reduces the amount of time spent changing out batteries, increasing productivity on the jobsite. 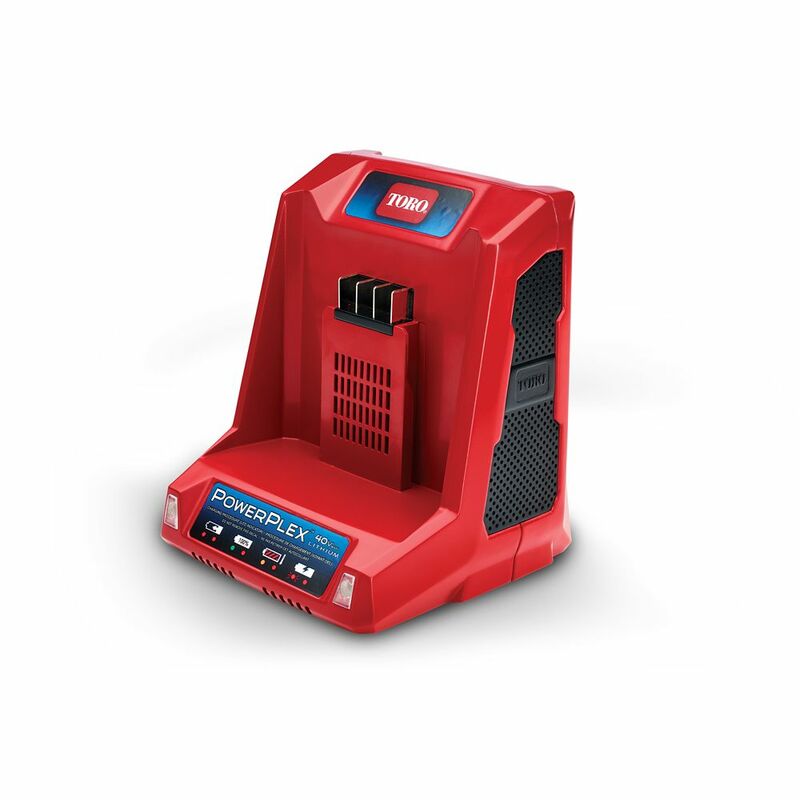 Its slim design makes it the perfect solution for a bench top, as well as storage and transportation of packs on and off the jobsite.Featuring REDLINK Intelligence, it communicates directly with the battery to monitor cell voltage, temperature, and charge status to optimize the performance and extend the life of the pack.The charger offers a compact design, integrated hang holes for vertical mounting, and a skip button to select a desired battery. PowerPlex 40V Max Li-Ion Quick Battery Charger Take charge of yard with Toros PowerPlex 40V Max* T90 Lithium Ion Quick Battery Charger. The quick charger charges the T90 battery in approximately 60 minutes and the T180 in approximately 120 minutes. The quick charger is compatible with the Toro PowerPlex tools and batteries. Take charge of the yard with Toro PowerPlex tools. PowerPlex 40V Max Li-Ion Quick Battery Charger is rated 3.0 out of 5 by 1. Rated 3 out of 5 by DTQ from Battery dies too quickly.... Battery dies too quickly.